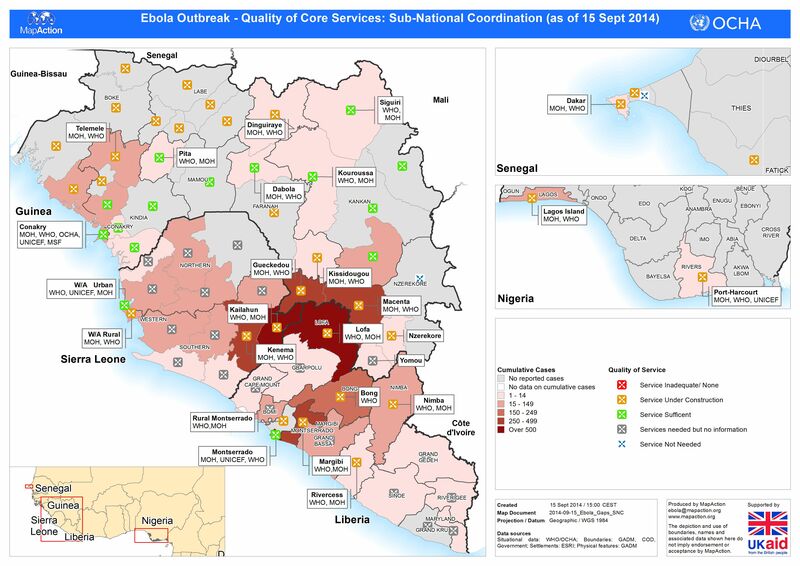 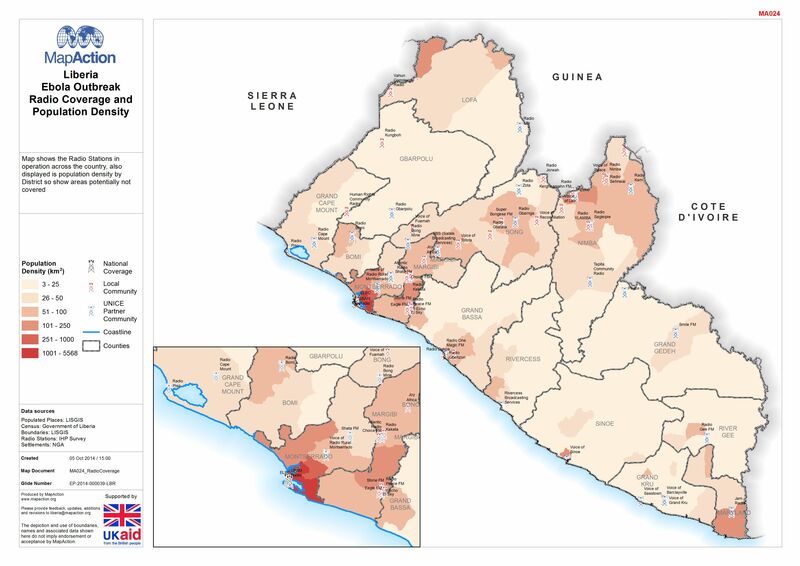 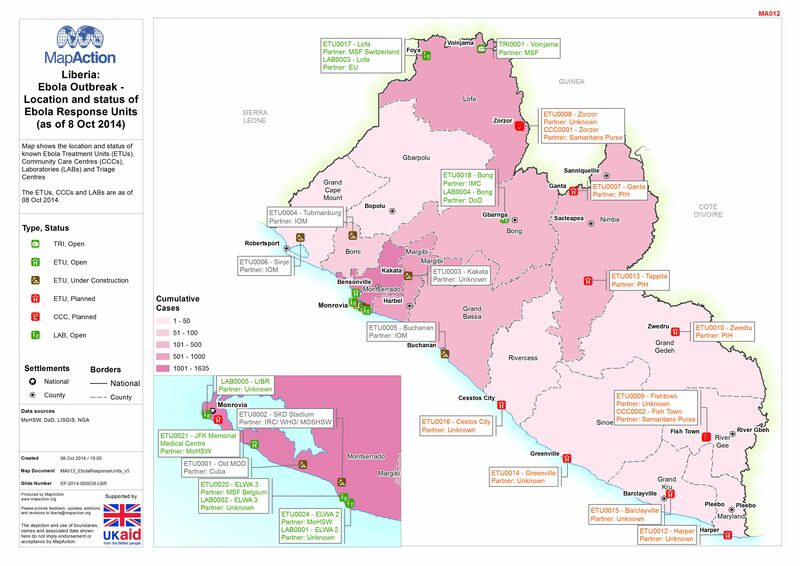 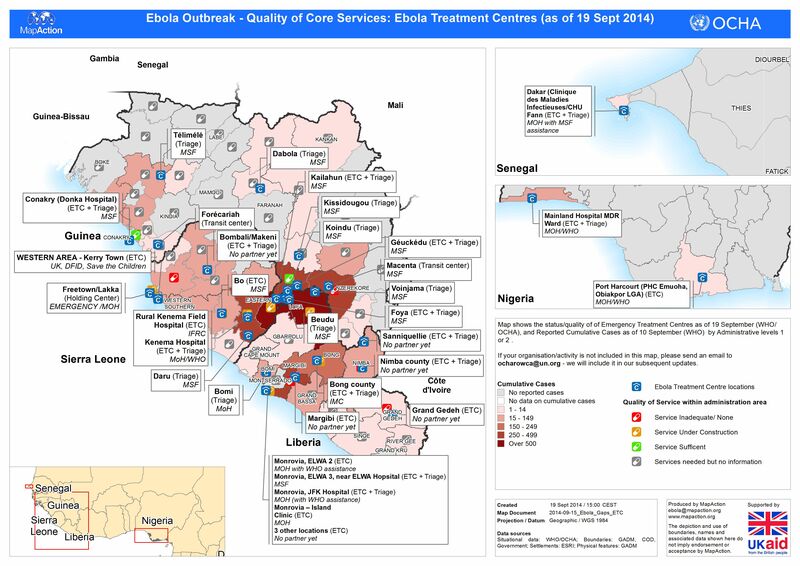 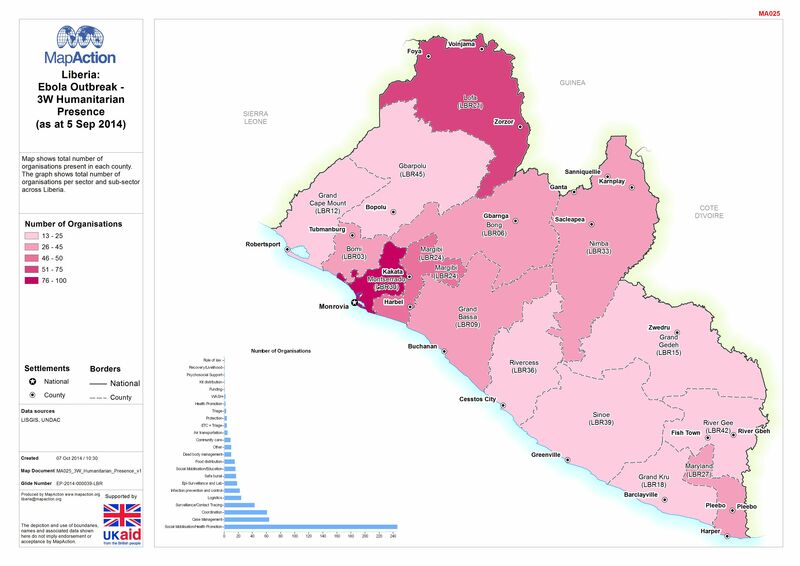 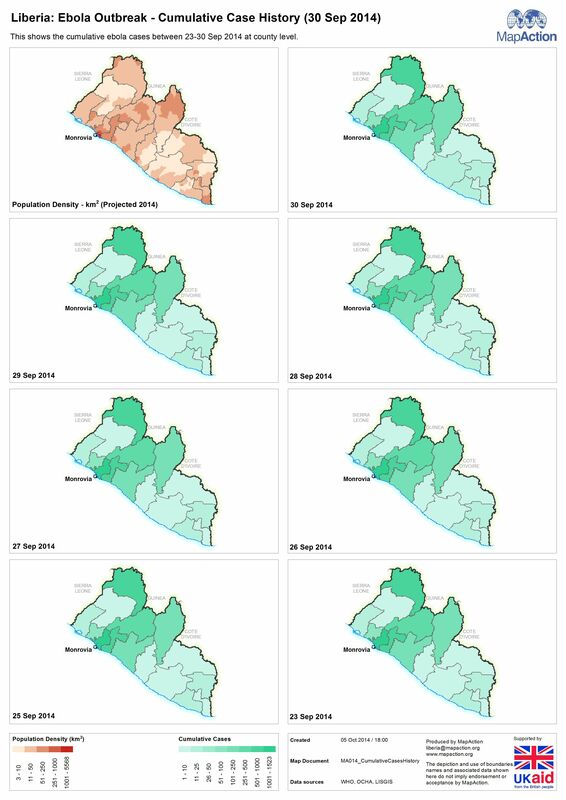 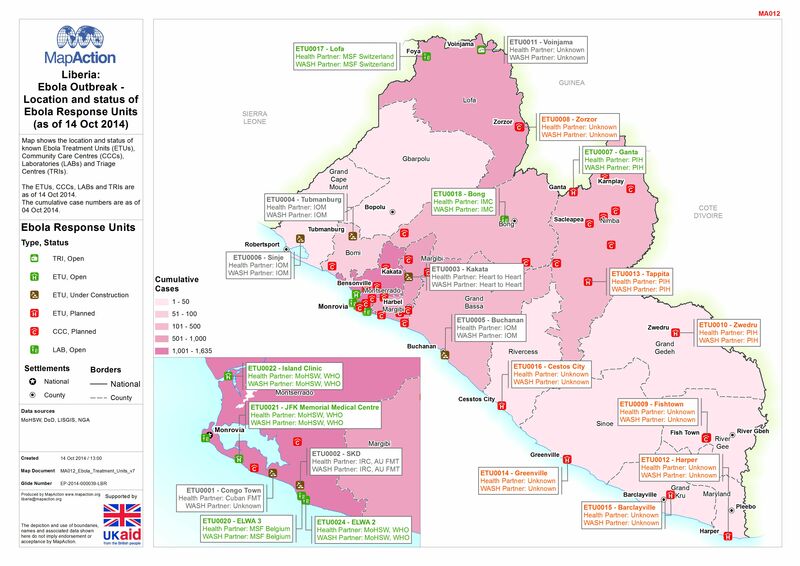 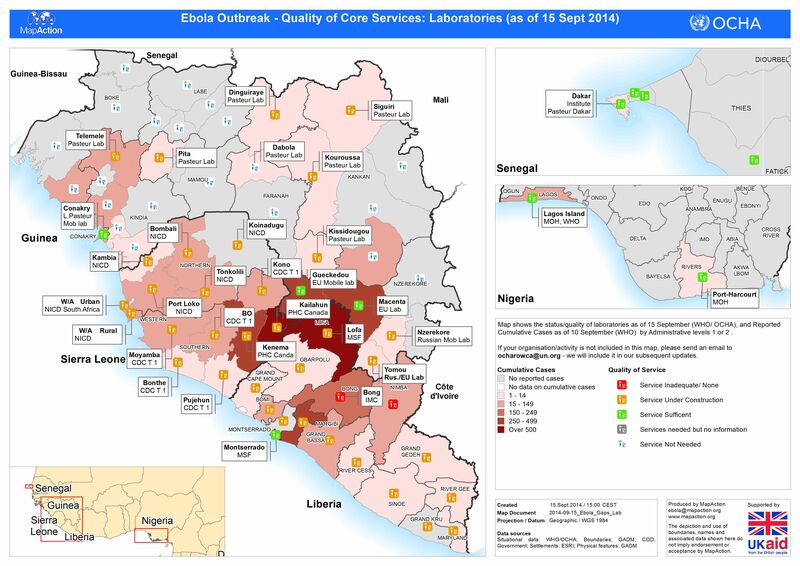 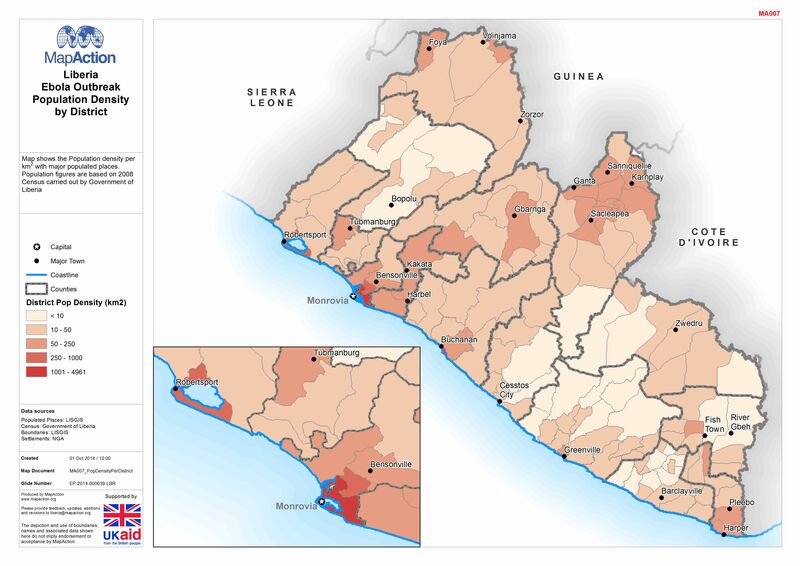 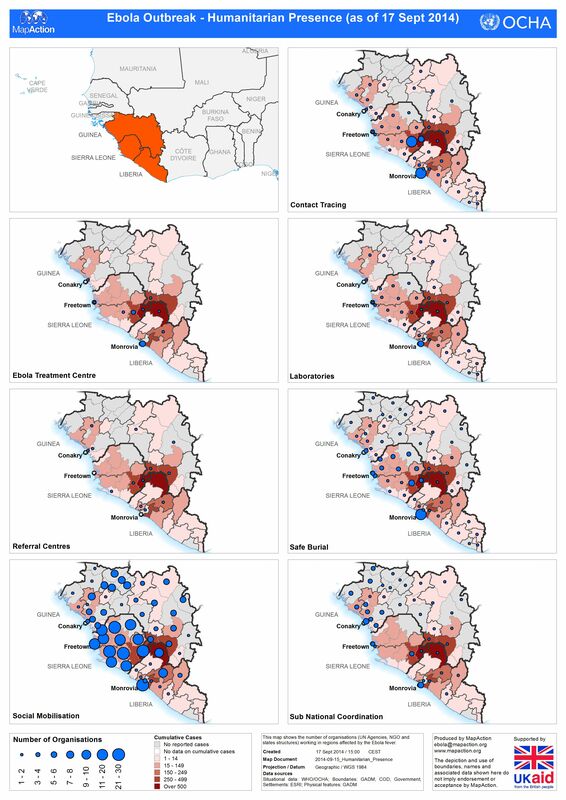 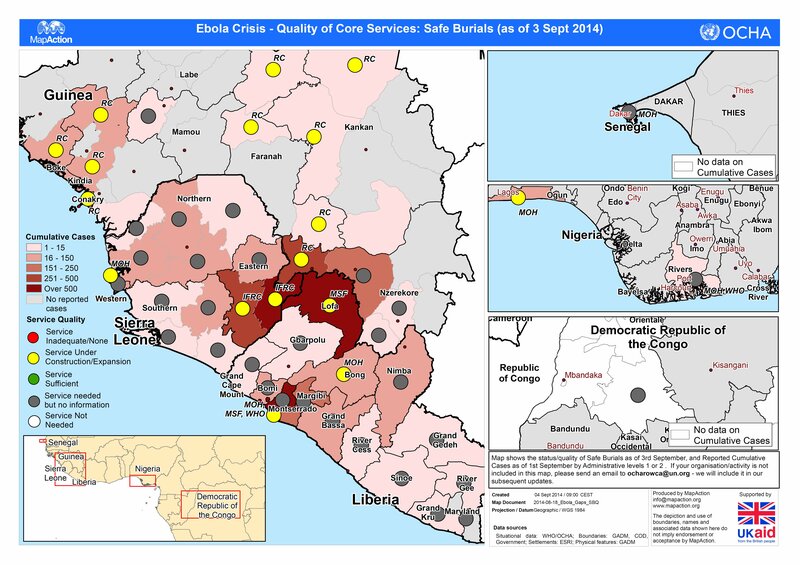 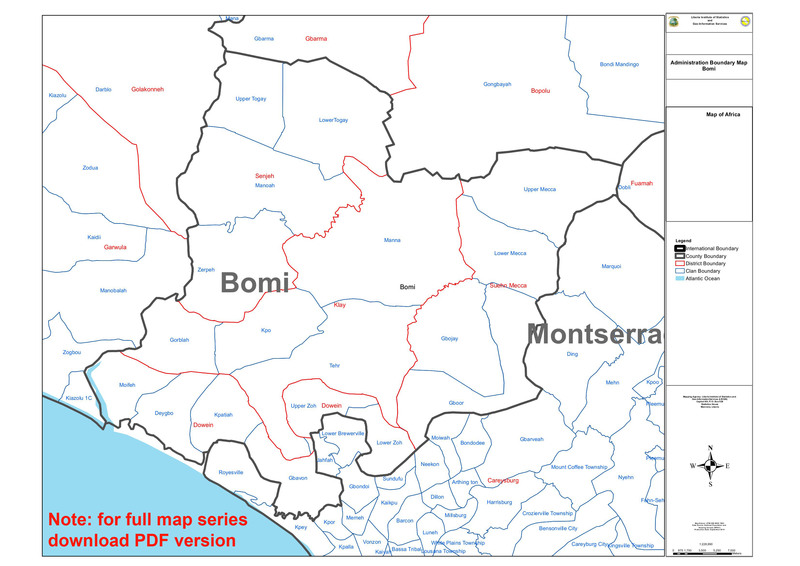 Summary maps of the Ebola Outbreak reported at County Level on 30 September 2014. 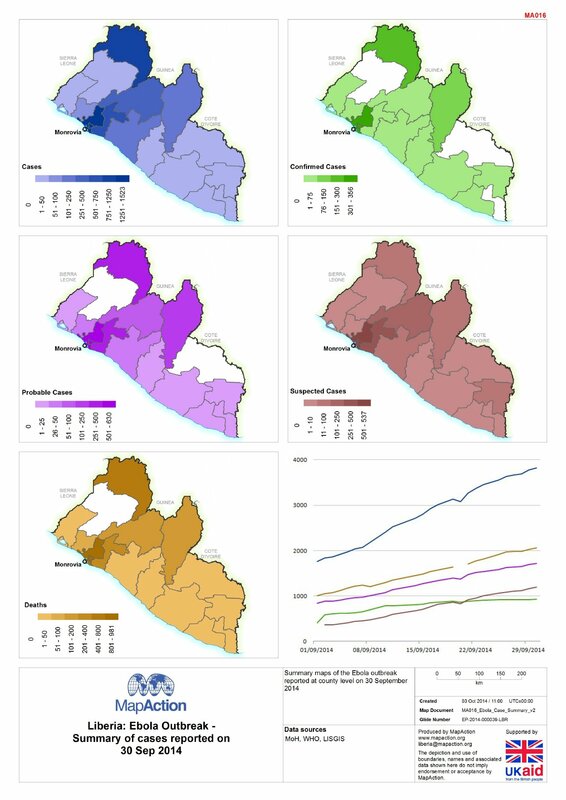 This shows the cumulative Ebola cases between 23-30 September 2014 at county level. 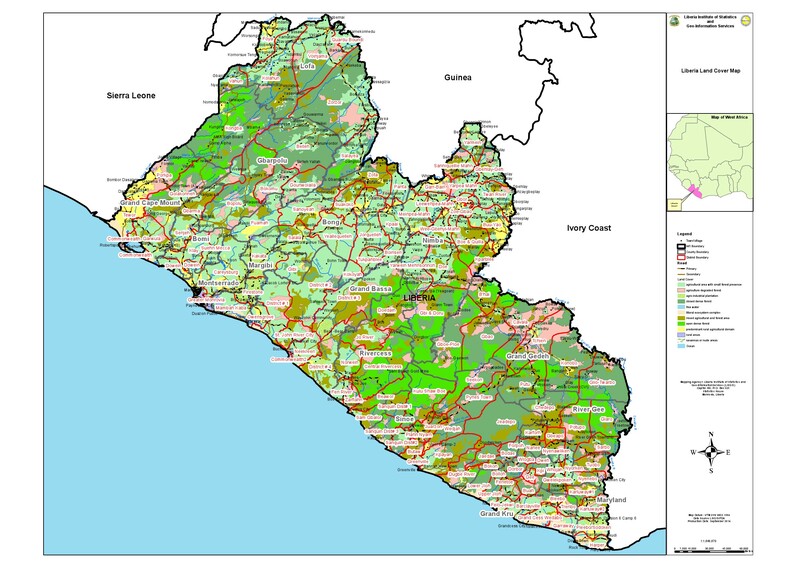 Map shows the Radio Stations in operation across the country, also displayed is population density by District so shows areas potentially not covered. 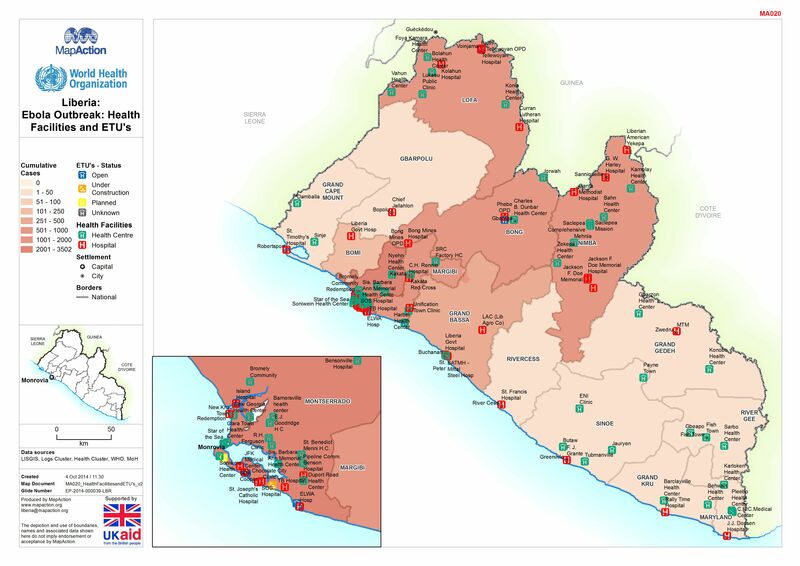 This map shows the number of organisations (UN Agencies, NGO and states structures) working in regions affected by the Ebola outbreak (as of 17th September). 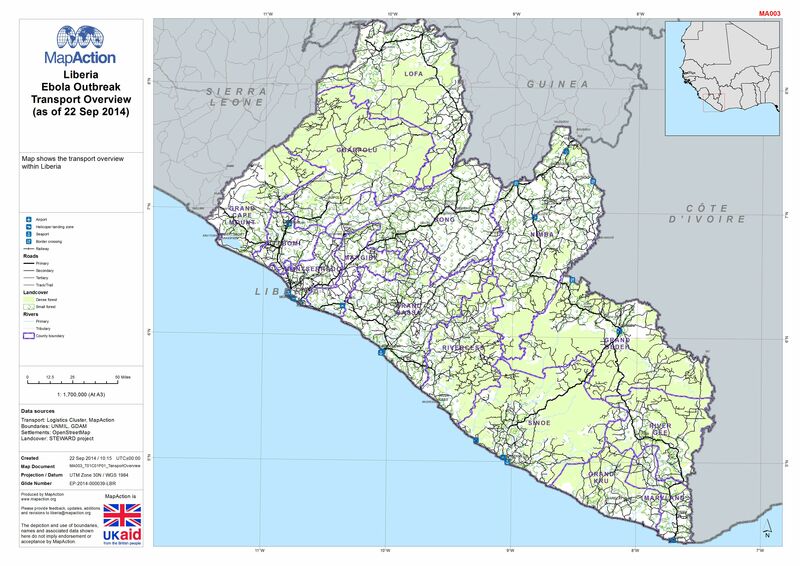 Map shows transport overview within Liberia. 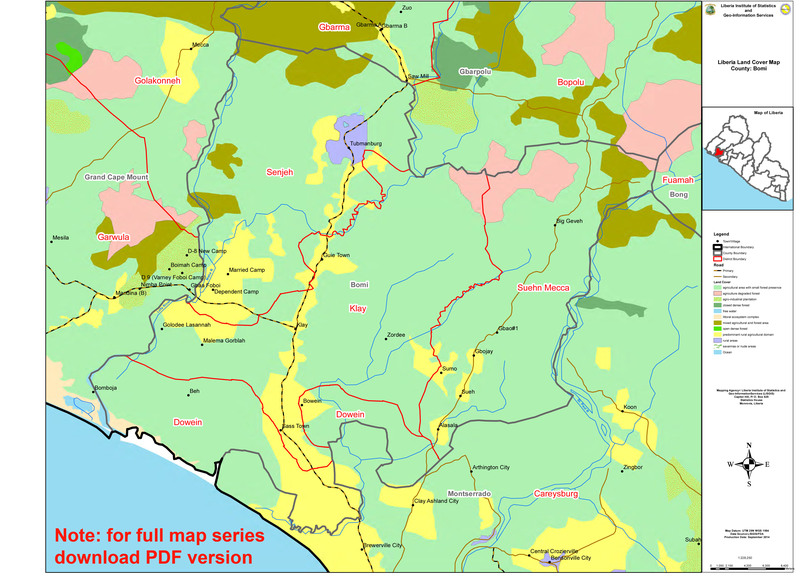 Also shows the forest cover. 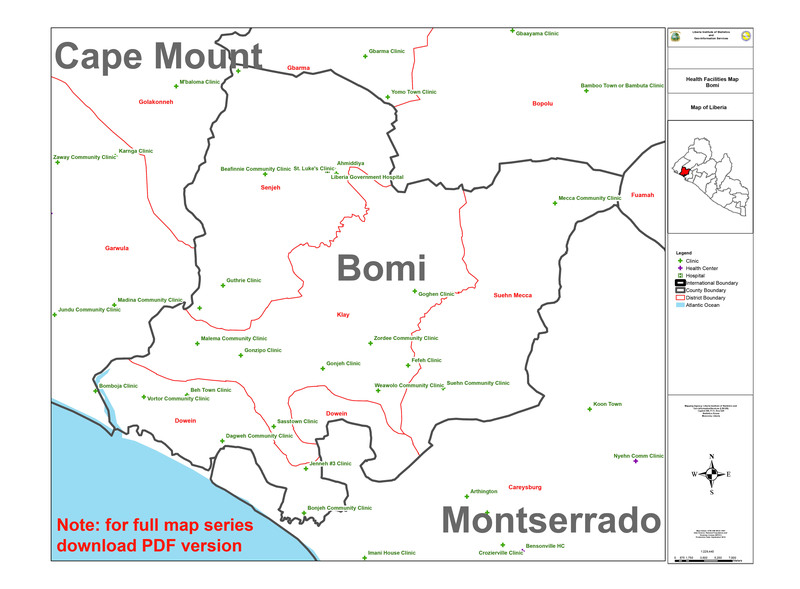 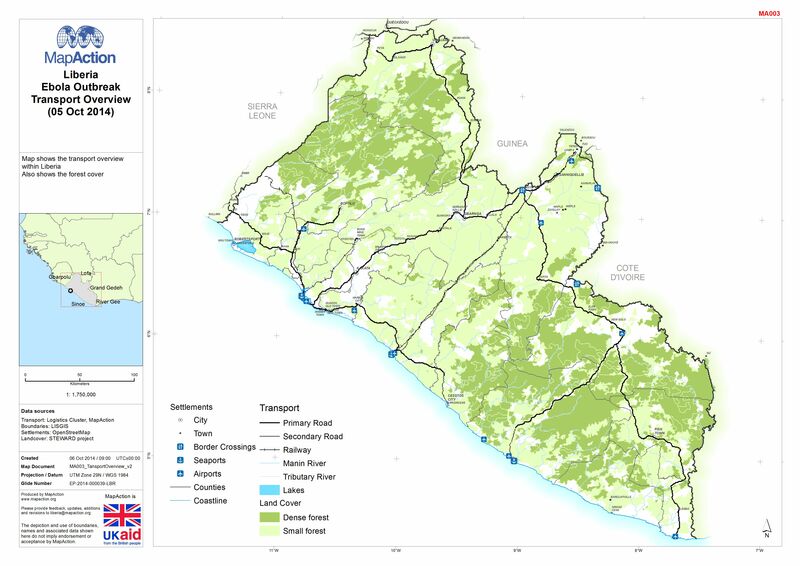 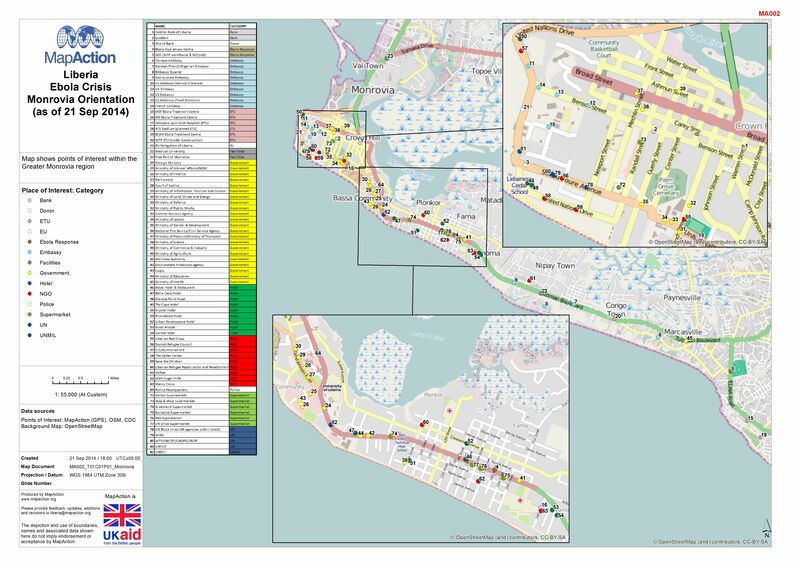 Map shows the transport overview within Liberia.